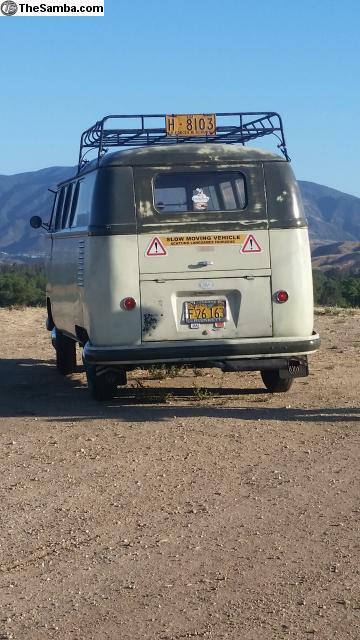 TheSamba.com :: VW Classifieds - 1958 Standard Microbus, OG Paint, AUTOMATIC! 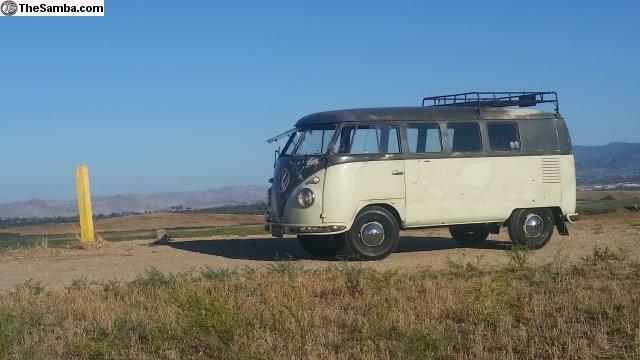 This cool patina 1958 Standard Microbus is still wearing most of its original paint, has all 3 rows of seats, original German safari windows, yellow 1958 California Year-Of-Manufacture license plates, a 1776cc dual carbed engine, front disc brakes, Firestone 6.40-15 bias ply tires mounted on restored 15 inch Bus wheels, and an automatic transmission was professionally installed, too. 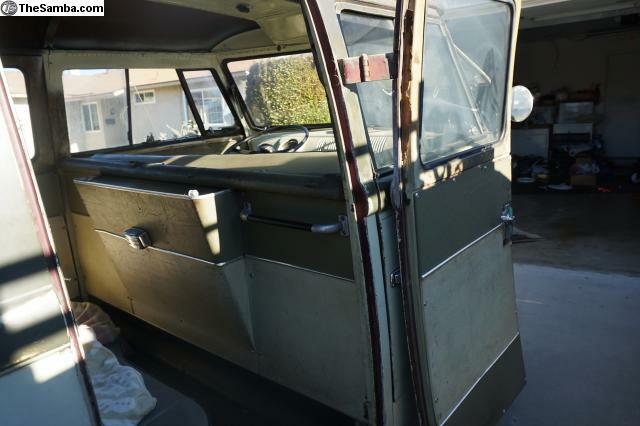 The body still shows over 85% of the factory Palm Green over Sand Green paint, a bit of the original pin striping is still intact, too. 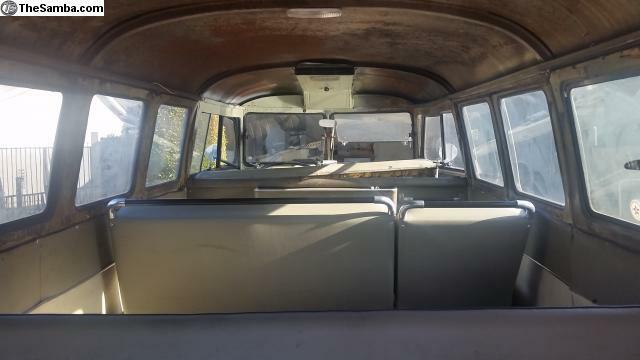 Details to note include the correct doors, flat 1957-1958 decklid, pressed bumpers, correct glass taillights, and 15 inch Bus wheels as well. 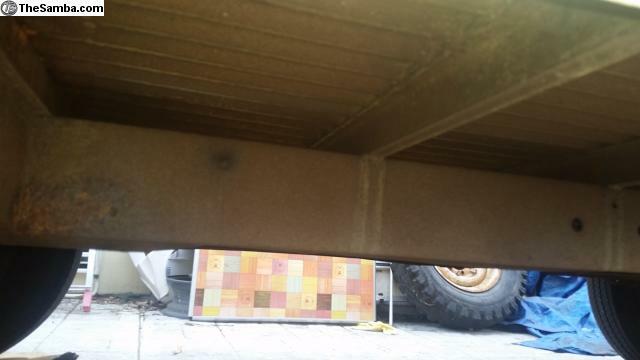 The body looks good, is impressively dry, and the paint has a nice patina, too. 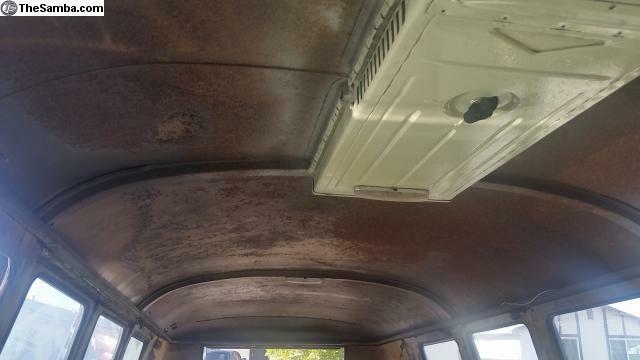 Many years ago the Bus was in a garage that had a roof fire and the front and roof paint was scorched from the heat. It was professionally blended about 10 years ago and matches well for a driver. 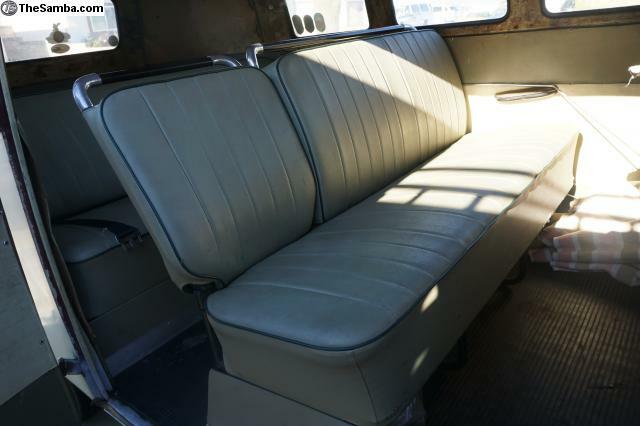 The interior features all 3 rows of bench seats and the original Soft Green interior panels are in pretty decent shape, too. 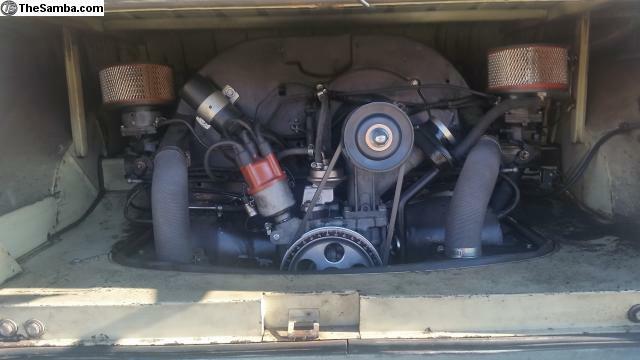 Mechanically the Bus features a 1776cc engine with dual Kadrons and was built by Jim of Jim's Volkswagen Service of Monterey Park, California. 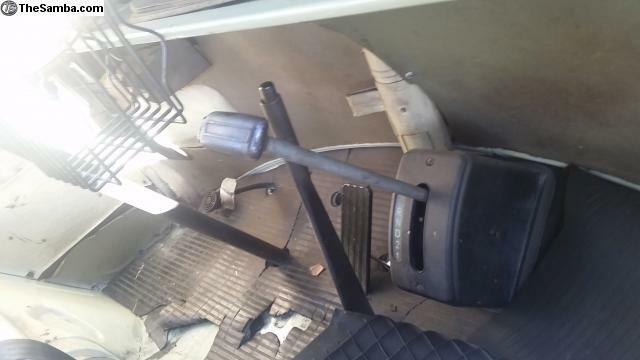 The automatic transmission conversion was a team effort from Russell at Old Speed and George Schmidt of the Butcher Shop. 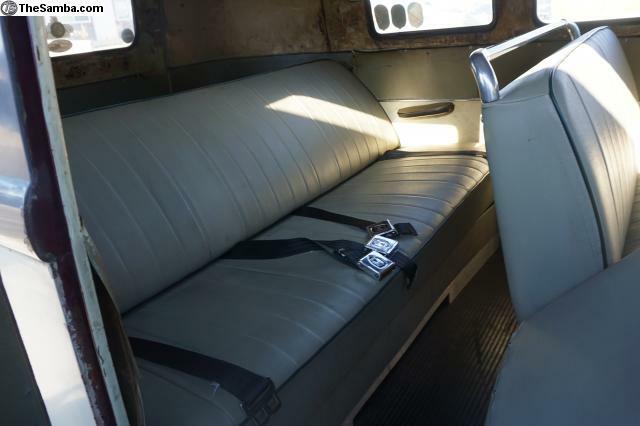 They utilized a Volkswagen 412 3 speed automatic transmission, late Bus IRS setup, and type 3 rear brakes. The front end features a set of CSP disc brakes from Belgium. 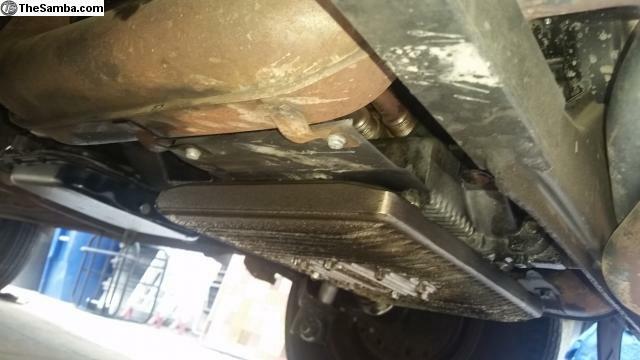 The Bus has been a road proven and reliable driver for over 10 years in this configuration and it has been regularly serviced by both Jim and George. 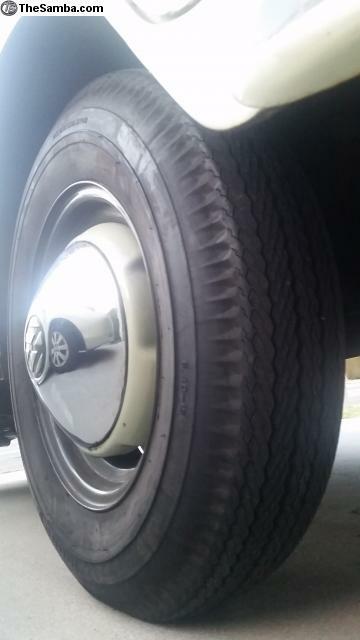 I spoke with George this morning and he commented about how good the Bus drives. 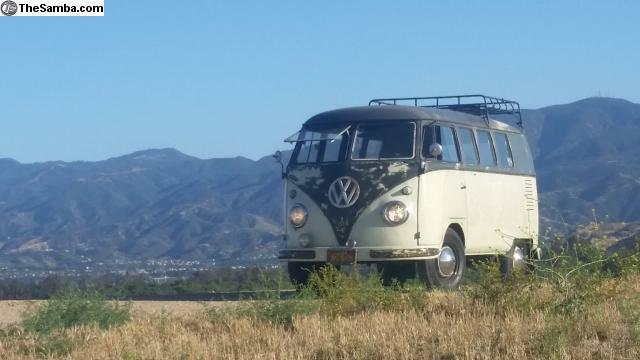 The owner has attended tons of Southern California shows with the Bus over the last decade so if you've been to the big events, chances are you've seen it there. 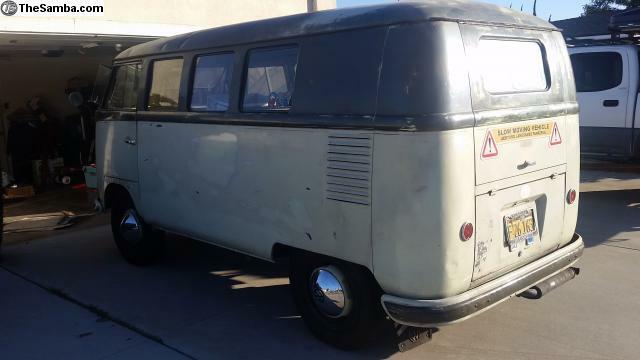 Overall this is a cool early Bus that is road ready, has a good patina look, a couple cool accessories in the original safari windows and 1958 license plates, and nice mechanicals that were built by some of the best in the business. Thanks! 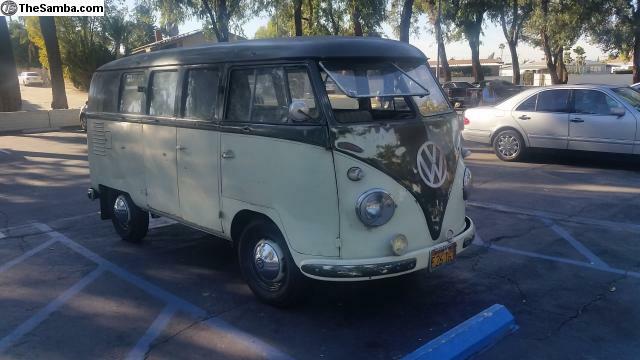 Please note that this Bus is located in North Orange County, California and the license plates will only go with the Bus if it is sold to a California buyer. 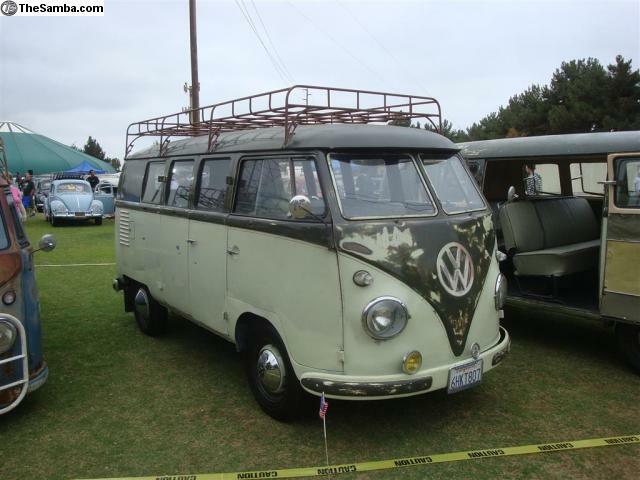 Please visit my website at http://www.holygrailgarage.com/ to see the full album of pics of this 1958, more interesting Vintage VW's, Classic Cars, and Parts for sale. 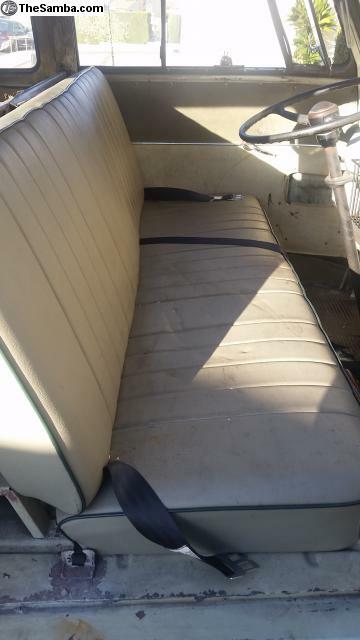 Please check my other ads for more cool early Cars and Parts. 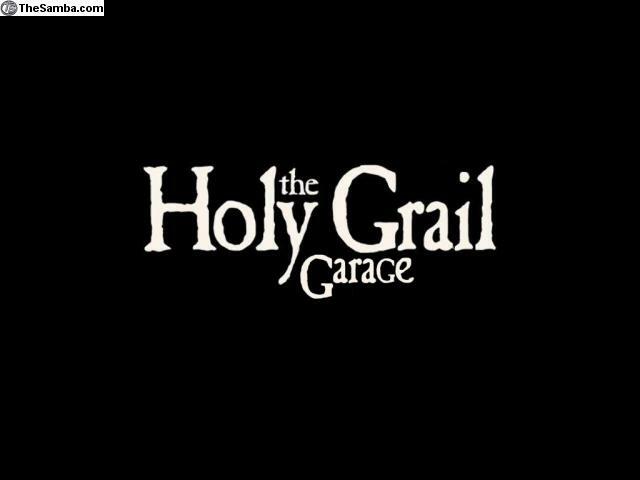 You can also follow along on Instagram at @holygrailgarage to see the latest things we are up to as well as catch an occasional sneak peek of our latest car listings!